Enjoy your records–on the go! We all fondly remember those classic suitcase turntables of yesteryear: easily portable, easy to use, and a party wherever you were. Here it is again, but updated with all the modern performance enhancements that only ION can bring you. Vinyl Motion™ has a rugged case with a handle so you can carry it anywhere. 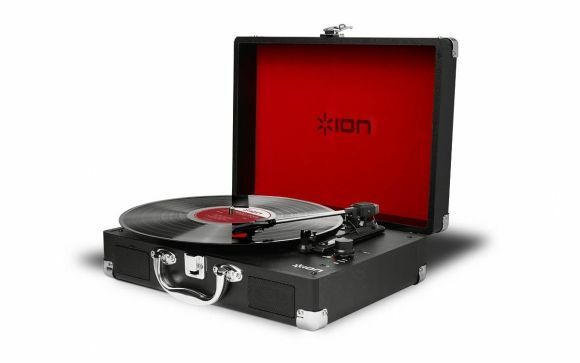 It plays all your 33 1/3, 45 and 78 RPM records, it comes with a 45 RPM adapter, and it has built-in stereo speakers for convenient listening without having to connect external speakers.